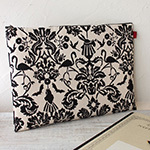 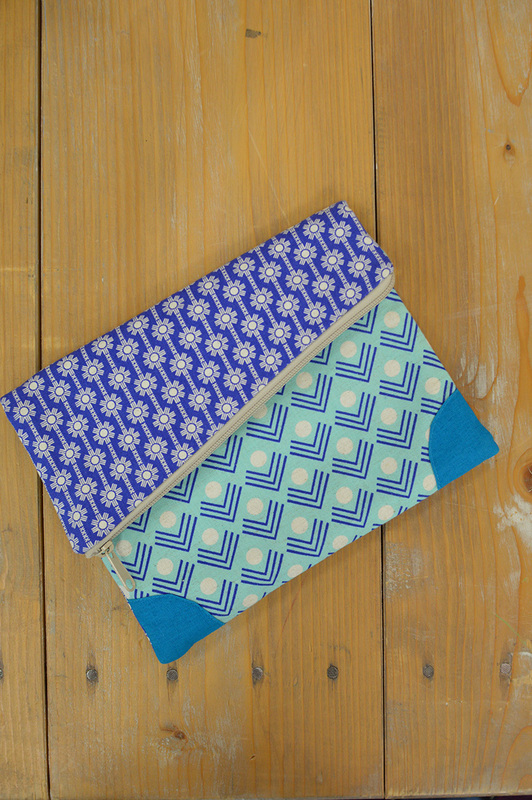 An ever popular item, a clutch bag in Ellen Baker’s new print, Framework, is featured today. 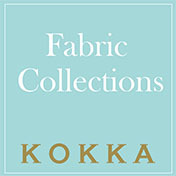 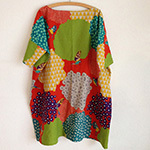 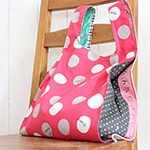 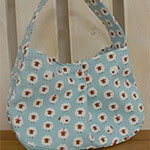 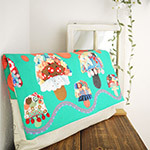 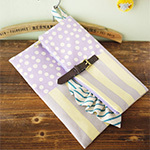 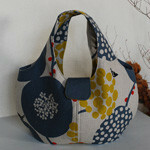 It combines two cotton-linen canvas fabrics, Daisy Chain and Corners. 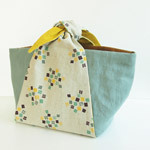 A diagonally cut opening and an addition of the solid fabric of the same color tone on the corner accentuate the geometric patterns.